This week I’ve managed to put together two absolute treats for you which I’m very pleased about and I hope you are too! The first one was my baked cardamom pear dessert which you might have checked out but if not you definitely should, just click here. And the second treat is right here in this post and I’m having to pull myself from the freezer to write this post because these chocolates seem to have an immense magnetic power on my sweet tooth! They’re reminiscent of the Reese’s peanut butter cup which I have fond memories of from my pre-vegan life and I think many of you know what I’m talking about. They also remind me a little of a Swedish Christmas treat we call ‘ischoklad’, simply translated to ice chocolate – hence the name of this recipe. I’ve also decided to call these treats ice chocolates because they are frozen and need to be kept that way until you eat them due to the nature of their ingredients. 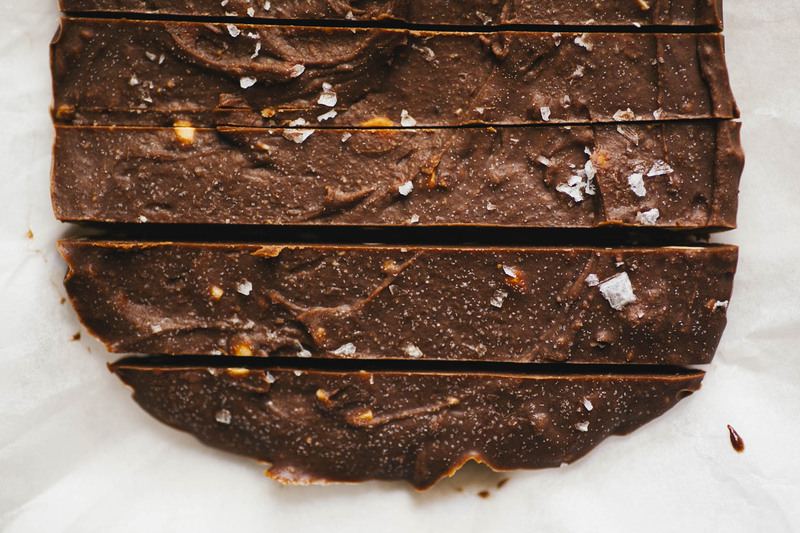 These peanut buttery tahini chocolates sprinkled with sea salt will take you more or less five minutes to throw together and then the freezer will do the rest. In these busy holiday times I’m sure you’ll appreciate the speedy experience of preparing these chocolates as much as I do. 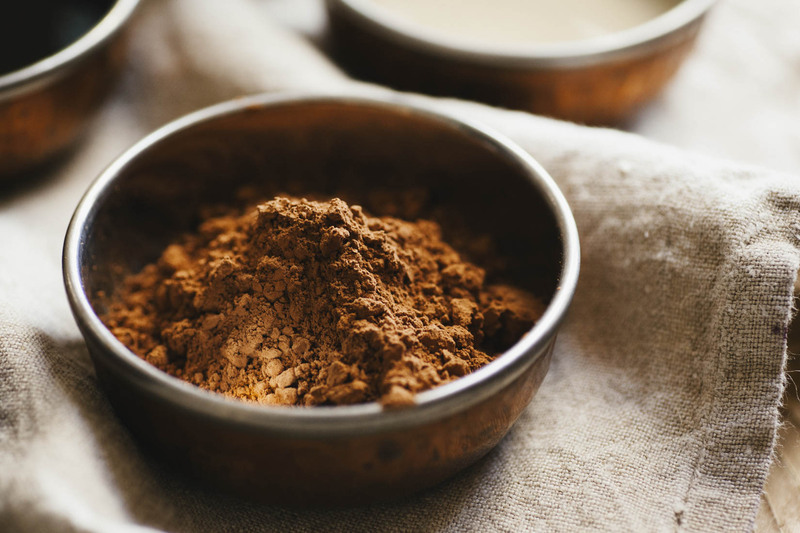 It’s also a great way to stay away from other chocolate temptations this time of year which are usually full of refined sugar. 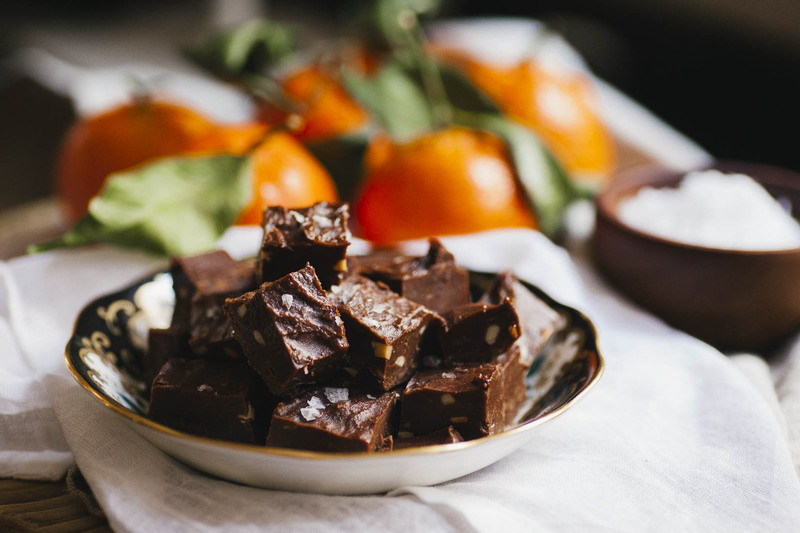 I’ve made these twice in one week and have had some taste testers giving them approving nods so I feel safe to say that these chocolates are five minute winners and I hope you’ll give them a go! Also they are rather versatile and you can use whatever nut butter you have/prefer and you could also leave the tahini out if it’s not your cup of tea. If you do leave something out though you need to tweak the ratio of coconut oil and maple syrup, i.e. decrease them a little so that they match the amount of nut/seed pastes. 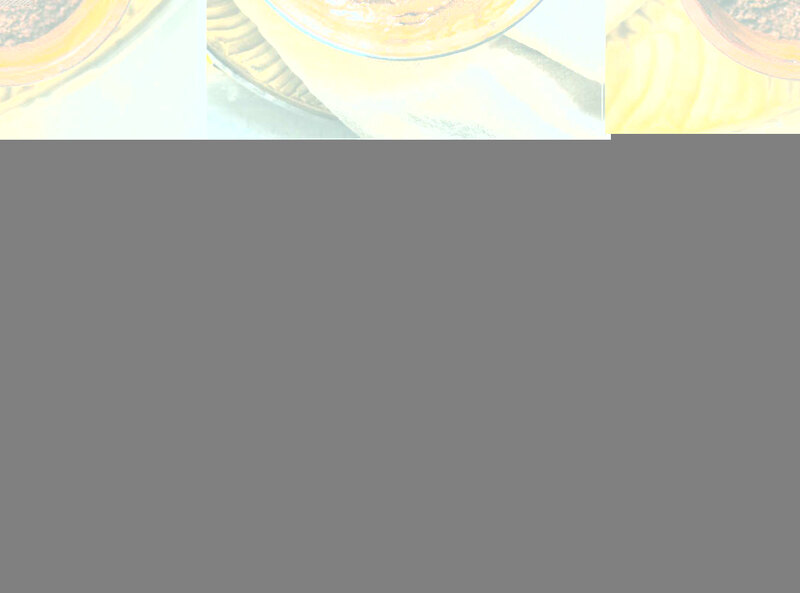 Line a small dish with baking paper and for extra safety grease with a little coconut oil. Transfer the mixture from the bowl into the lined dish and flatten it out to cover the whole bottom. Sprinkle with a pinch of flaky sea salt and place in freezer for at least 3 hours to set. Once set break or cut into bite size chunks and enjoy. Keep in the freezer as they will loose their texture in the fridge and after a while will melt at room temperature. 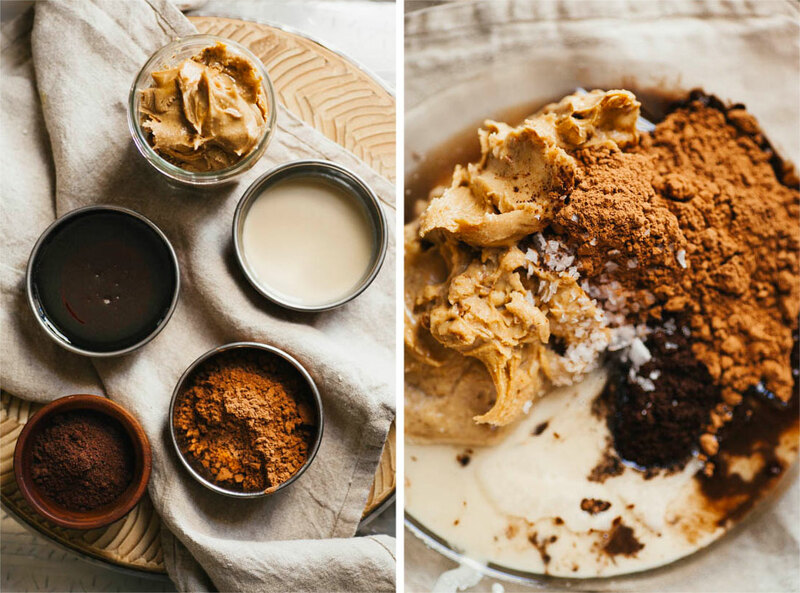 I’ve been postponing to try a tahini and chocolate combo in a dessert (which I, btw knew I would love) but after you posted these on instagram the other day, I knew I will be making them soon! 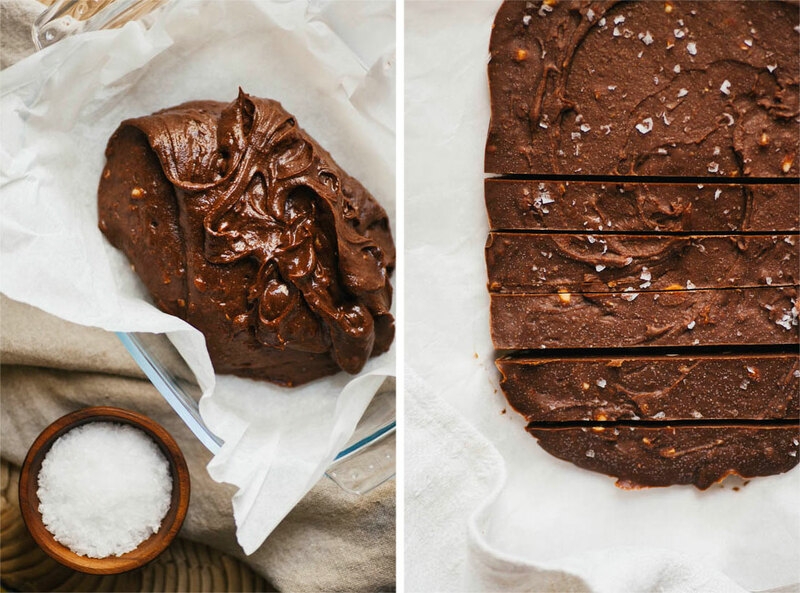 Thanks for sharing, I’m looking forward to making this deliciousness! This treat look absolutely delightful! 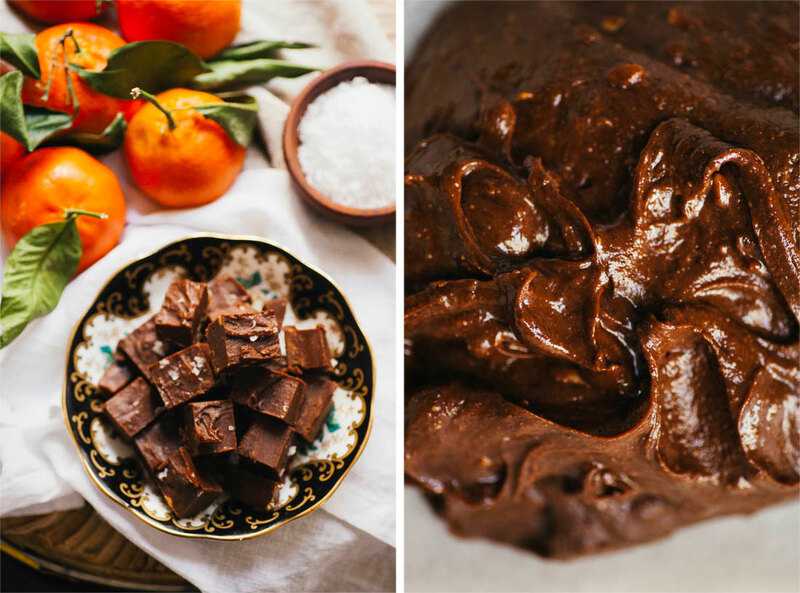 I wouldn’t have thought to mix tahini with chocolate, but the combination sounds so good! Can’t wait to try it! I know that the combination is a little unexpected maybe but delicious nonetheless, the flavour of the tahini is not too overpowering in this recipe as the peanut butter at the forefront but it adds a nice note to the combination. I hope you enjoy it when you try it! I’m very glad to hear you think it sounds yum.